Nicola started out by testing normal household methods of freezing which, although not ideal in terms of large-scale production, proved themselves highly successful with regard to the quality of the end product. The flavour and aroma were those of a freshly baked pizza- as if it had never been frozen at all. These first positive results coincided with a market that was in continual evolution, a market in which “Made in Italy” became a worldwide guarantee of excellence. With this in mind, Nicola initiated his first major investment in 1991 when he invested in production machinery whilst still maintaining his headquarters at his little office at home. 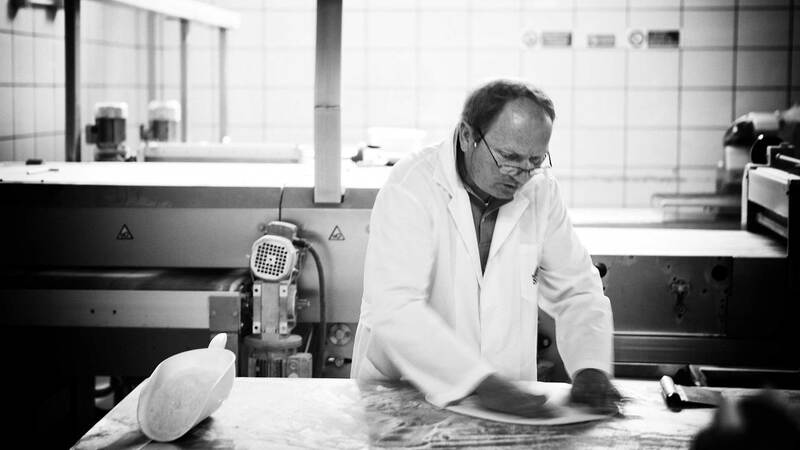 Within a few years, a combination of dedication, painstaking ingredient selection, respect for tradition and careful consideration of the modern consumer’s needs helped to lay the foundations for the emergence of Scarlinpizza, that is to say a successful company and furthermore, a company that has gone on to work within both Italian and foreign markets- developing links with various chains of leading supermarkets and delicatessens along the way. Our company's mission is to continue to evolve and grow every day through our work, focusing on the exclusive skills required in the production of our quality products. In order to meet increasing market requirements, in 2009 Scarlinpizza obtained the ISO 22000: 2005 and 2013, the FSSC 22000- two guarantees of excellence that are recognised globally and ensure a quality above and beyond basic legal requirements. In addition, in February 2014, the company adopted the BRC Standard Rev. 6. Per i nostri maestri, le loro creazioni sono una passione prima ancora che un lavoro. I metodi di preparazione e le ricette, con tutti i loro segreti, sono gli stessi che vengono tramandati nel Salento da generazioni e che assicurano ai prodotti il sapore più autentico. A questo si aggiunge il nostro amore per l’eccellenza, che ci spinge a ricercare in ogni proposta la migliore espressione del gu-sto. Solo in questo modo di può garantire il massimo della qualità su tutti i prodotti in assortimento. Scopriteli e mangiateli con gli occhi nelle pagine a seguire. Buon appetito.